Gone are the days of “Traditional Marketing”, if you are really serious about your business progress, you can’t ignore the power of Internet and Internet Marketing. As you might know that Organic listings last for a long time and having a good presence in the un-paid results of search engines will give your business the dynamic boost. 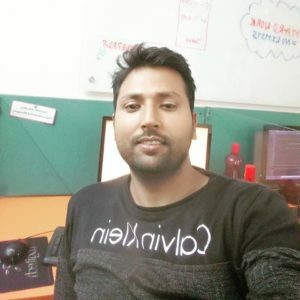 So if you are looking for an Internet Marketer in Ghaziabad area, You are at the right place as I am a Google Adwords & Analytics certified professional, Top rated Internet Marketer on Upwork and an SEO manager working in a reputed IT Company in Delhi Ncr. Search Engine Optimization is the process that is really important to target users coming from un-paid results of search engines. In a recent survey, it has been proved that more than 70 % of visitors choose organic results so you can understand that how crucial is for your business to get SEO Ghaziabad services. Business owners can’t ignore the source from where a lot of audiences are present and they are looking for the same services/products. SEO helps your business website get better traffic on your website through different direct and indirect channels. Whether you are looking for SEO, SMO, PPC, ORM Content Writing, Local SEO, Blogging or Email Marketing services, Believe me that I can help you achieve your goals through any of Digital Marketing strategies. Give me a call at +91-8802309980 and I will listen to your queries and will give you the solution that will help you achieve your business goals. Because of my experience of over 8 years, I have worked for over 500 businesses. Different tasks were assigned from different set of time and I made clients happy through my knowledge and skills. Whether you are a small or large business owner, I am quite sure that I will give you the services that can be expected from a class SEO Expert in Ghaziabad. Being a local Guy and living near Lal Kuan, I am very familiar with Ghaziabad locations. Give me a call at : +91 – 8802309980 and I can help you make the conversions at lower costs.